If you are in the market for a modded controller for the gaming system of your choice, Mega Modz Planet Buying Guide will set you on the right path. Selecting a gadget that will turn around your gaming routine is not easy and requires a thorough research of the market and the products offered. We are offering this guide as an online source of technical information, features overview, useful tips and technology comparison to reduce the confusion most gamers experience once find themselves in the middle of a modified gaming pad buying process. Now that you are ready to start learning about Mega Modz modding technology, let’s begin. Any gaming controller becomes modded when a special modchip is installed inside of it. The chip presses the buttons on the remote on the behalf of the user, thus enabling a gaming character to implement actions in the game with greater ease. There is no hacking or any alteration of the original controller hardware involved in a modded remote building process except for adding of the additional chip, therefore using a product won’t get your account with Sony or Microsoft banned or suspended. There are a lot of modding companies on the market offering their own modchips that vary by a set of factors such as a memory capacity, a processor speed, a number or mods offered etc. To learn all technical aspects of Mega Modz modchip and to see how it beats the competition, visit our Technology page. Mods can be compared to the perks that are unlocked as the game progresses, they are helpful and fun, but not enough to succeed. A mod controller won’t do magic to your gaming performance, you will still have to aim, hide, analyze and strategize like you normally do during the game play, but it will definitely add a variety of useful skills that will improve your kills to death ratio. 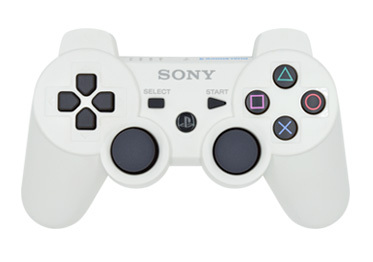 In late 2013 Sony PlayStation came out with a new DualShock 4 controller that featured several improvements compared to the previous version. It provided a better control due to improved sticks and triggers, a multi touch pad on the front, an enhanced battery and a new Share button for instant gaming achievements posting to the social media. We were excited to mod the new platform and to start offering a bigger number of modifications available for DualShock 4 remotes as opposed to DualShock 3 ones. 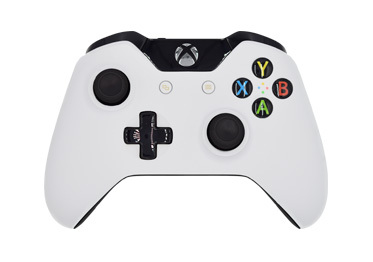 Released in November of 2013, a new Xbox One controller was a significant improvement over the previous generation of Xbox 360 remotes. Redesigned controller shape along with very responsive d-pad, thumbsticks, triggers and bumpers were more sensitive to user’s movements and provided better grip and accuracy. In early 2014, Mega Modz team successfully completed the development of Xbox One modchip offering more options and their variations to customers. 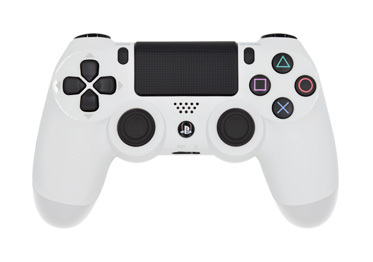 Prior to the release of Sony DualShock 4 controllers, DualShock 3 remotes have been on the videogames market for nearly seven years and have gained a great popularity due to their reliability and endurance. We have been selling modded PS3 controllers from the day one offering for up to 13 functional available modifications and design customization options. With the appearance of PS4 consoles the demand for PS3 modified remotes has gradually declined, but the product is still available and can be customized to one’s liking. 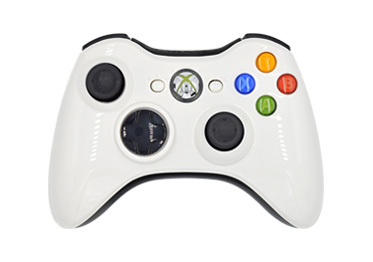 Xbox 360 controllers were introduced in 2005 featuring a sharp modern design that immediately attracted fans all over the globe. Mega Modz was originally selling 1.0 software version for Xbox 360 modified remotes but had to develop a more advanced platform due to many requests from the customers. Released in 2015 and available today, 2.0 Xbox 360 platform exactly matches the one for the Xbox One offering same features and programming options. We are glad to introduce a Controller Creator section available on our website for all of your custom modded remote needs. In here, you will be able to build your dream gadget from scratch selecting from various functional and design options. The main idea of Controller Creator is to show you a finished look of your modded controller along with the functions description so you could make a knowledgeable decision about the purchase. Pricing breakdown will also help to allocate the budget in a rational way showing the cost of mod packs and added design add-ons separately. While building your ultimate gaming accessory, you will be able to find a variety of design and functional features to customize the look and the capabilities of your brand new PS4 mod. You are welcome to select from custom color buttons, d-pad, thumbsticks, triggers, bumpers and other controller parts. In terms of a product’s functionality, you can choose from either adding individual mod packs or going with pre-configured multi-mod game packages that will include all options compatible for a specific game by default. 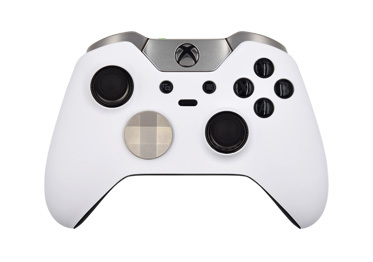 Gaming controllers customization has become so popular lately with the users all over the world that Microsoft could no longer ignore customers’ requests to have an ability to modify the look of an Xbox One controller to their liking. The corporation came out with some design customization options that however, can’t be compared to the features offered at Mega Modz platform. We are offering various colors and textures for controller shell and buttons along with an ability to have mimic paddles installed. Configuring a custom controller can be an exhausting task that may require some help from your friends and loved ones. When building your mod with Mega Modz, you will be able to share the image of your custom product with your friends through our Share button via email or social media pages. Getting an advice or a comment from your crew is always useful and can help assembling a more functional gadget. If you have no time to finish building your custom PlayStation or Xbox One controller or have no intention to complete the purchase at the moment, you can save your progress by adding your artwork to the Wish List. You will be able to retrieve your project later at any time once you are ready to make a purchase or wish to play around with the options some more to make sure you are getting the remote of your dreams. In order to succeed, a modern gamer would need to utilize more of their hand in the game. Mega Modz Paddles option allows users remapping standard button functionality and accessing many activation points on the paddles. While there are a lot of paddle types and textures offered on the market, Mega Modz paddle version delivers a user oriented shape and the right placement on the product. Our paddles feel to be right there, once you need them, and don’t feel like they've been installed at all, once not in use. The option is a must have in today’s video games world and is compatible with any game on the market. Programmable paddles is a highly popular option that will turn around the performance of your Xbox or PlayStation controller. Even Microsoft started offering this functionality via its Elite Xbox One controller with 2 sets of paddles installed by default. Mega Modz paddles for both Xbox and PlayStation controllers are identical in shape and size since other designs we have tried didn’t offer as many usability options as the current one. Our latest version features external tactical switches that deliver better clicking and response. For all Xbox 360 users we are glad to offer mimic buttons that will be installed on the back of the controller for an increased usability. Mimic buttons come with same functions as the paddles and are placed in a perfect spot for utilizing the middle fingers. Mega Modz paddles come in various colors and options. Complete the look of your custom Xbox or PlayStation controller with the matching version of the paddles installed. An LED running light option is now available for the paddles installation. Add the feature onto your controller and we will install 4 small leds on the inside of the paddles that will lit up the controller once it is on. LED lights will turn a regular remote into illuminating one that will look especially cool in a dark room. A modified remote can be upgraded with the number of mod options that will be installed on the product modchip. Each mod has a certain function or a new skill that will be added to the performance of your gaming character and has to be used in certain gaming situations/games in order to get the most out of its functionality. To learn more on how our mod options work and how they can meet your gaming needs, visit Instructions page and select the type of a gaming console. Shoots both dual wield handguns at the same time with a press of fire button. Sets up burst firing for semi auto and single shot weapons. Spots your enemies and shows them on your teammates radar. Makes your soldier run without having to press left thumb stick (continuously). Makes your soldier drop to the ground or jump in the air and shoot simultaneously. Pulls both triggers and get Rapid Fire on both dual wield handguns. Reloads guns faster than usual. Decreases the time between bursts for semi auto weapons. Makes all mods work in different button layouts. Scopes in, takes a shot and descopes with a perfect timing. Turns semi auto and single shot weapons into fully auto ones. Holds sniper’s breath while aiming for better accuracy. Decreases the time between knife attacks. Auto aims in the nearest zombie head or chest. Rapid Fire mod comes in every Xbox or PlayStation controller by default unless the option has been removed. It delivers 10 sub-modes with factory pre-set fire speeds and is compatible with all semi-auto and single shot weapons in all first person shooting games. The option is not available for fully-automatic weapons. In addition to default settings, most mod options offer a programming mode that enables users to enter custom settings and to find the best speeds/unit delays in case case of any software changes and/or for future games. All modded controllers come with a custom LED indicator with four LEDs showing Player 1 through 4. Player 1 LED always shows the shooting mods only (Rapid Fire, Akimbo etc) with each of them producing a certain color to let user know which mod has been activated at any time. Player 2 through 4 LEDs indicate other special mod options (Dropshot, Quickscope etc) with a specific color associated with each of them. Users can have three special mod options activated at the same time in addition to one shooting mod thus making a total of 4 mods that can be enabled on a controller at one time. A mod switch is the only additional button installed on the back of the controller that is used to activate/deactivate mods, scroll between sub-modes and create custom settings. During the game play, all mod options are operated through remote stock buttons only. The target category of games for our modified controllers is First Person Shooters with the biggest amount of mods offered for Call of Duty and Battlefield series as well as other popular gaming releases. You will find all relevant information on games/mods compatibility via Games page. Call Of Duty is one of the best selling first-person shooter video game franchises of all times that features great graphics, dynamics and online multiplayer warfare. The series success started in 2003 with the release of the first title. Normally eleven to thirteen mod packs are compatible with each COD game. The number can vary as three options - Jitter, Fast Reload and Turbo Melee, are always questionable for every new release and need to be tested on an actual game. Their compatibility ultimately depends on a game graphics engine. Battlefield is an award-winning series of shooting games that began with Battlefield 1942 many years ago. BF releases offer massive multiplayer battles with a focus on teamwork and vehicle combats. Traditionally up to five mods are compatible with all BF games with Rapid Fire, Auto Spot and Sniper Breath being the most popular ones. Destiny is one of the newest shooters that has appeared on the market relatively recently, but has already gained fans from all over the world due to its innovative storyline, science fiction warfare and the post-campaign content. Currently we are offering five Destiny compatible mod packs via a Fate multi-mod package that were introduced shortly after the game release in 2014. Destiny compatible controllers are still one the best sellers on the website and we keep receiving strong positive feedback from our customers about the product. Rapid Fire is compatible with all First Person Shooter games as long as they feature semi-auto or/and single shot weapons and R2 or Right Trigger is used to shoot. If R1 or Right Bumper is a firing button, users can enjoy Rapid Fire equally well as long as the Button Layouts feature has been added onto the product.